There are several varieties of bamboo that can be used to build a bamboo birdhouse, but the easiest variety to use is the "moso" variety. Moso bamboo can grow up to 7 inches in diameter, making it the perfect size for a bird nest. 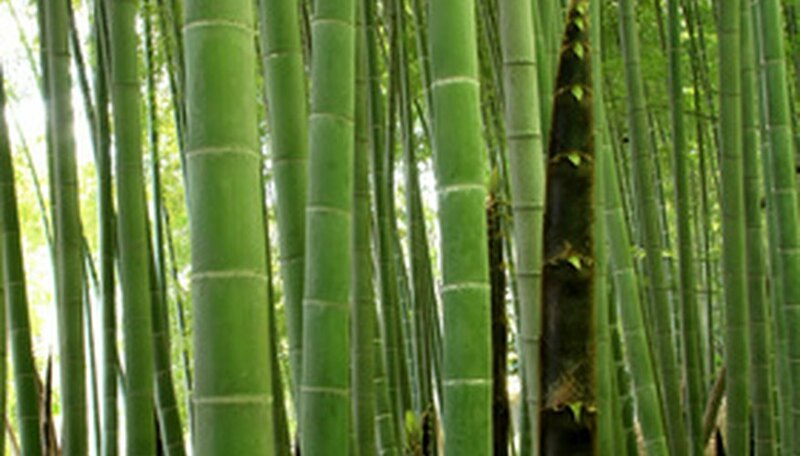 Bamboo has hollow segments along the length of its "cane" called "internodes". These internodes are segmented by "nodes," which are the horizontal lines that appear every 6 to 8 inches on a bamboo cane. Nodes separate "internode" chambers from one another. This hollow segment, or "internode," is where the bird will make its nest. Open can of paint and paint both ends, or nodes, of the bamboo with an exterior paint using your paintbrush. Measure the length of the bamboo cane and place a mark in the center of the internode. Center the drill tip of the hole saw drill bit on your mark and drill out the entry hole to the birdhouse. The size of entry hole you make into the birdhouse will depend on the size and type of bird that will choose your bamboo birdhouse to nest in, but 2 to 4 inches is ideal for most species. 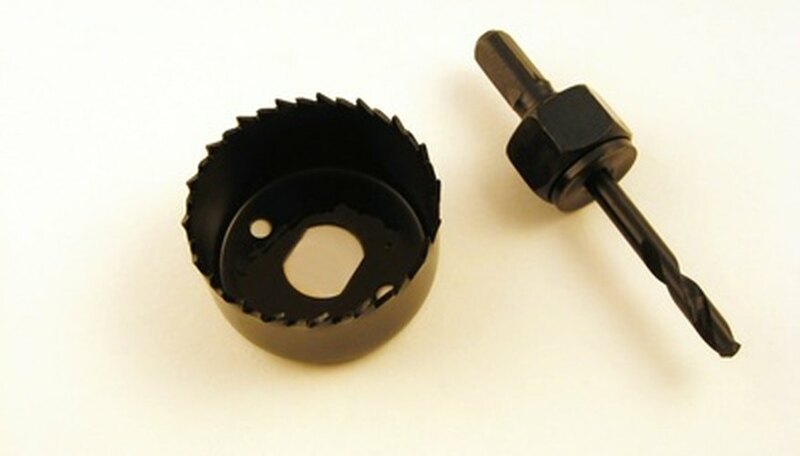 Remove hole saw drill bit from electric drill and replace it with regular 1/4-inch drill bit. Measure the diameter across the topside node of the birdhouse and place marks on both sides. Use these marks as guides as to where you will be drilling the holes on the side of the birdhouse. Place the measuring tape on one of the marks you've just drawn and measure down from the node 2 inches into the internode and place a mark. Repeat this for the other side. Drill a hole through the cane side of the birdhouse into the internode on both sides using the marks you previously made as guides. Thread your hanging wire, chain, string or cable through these holes and then hang your birdhouse from a tree.